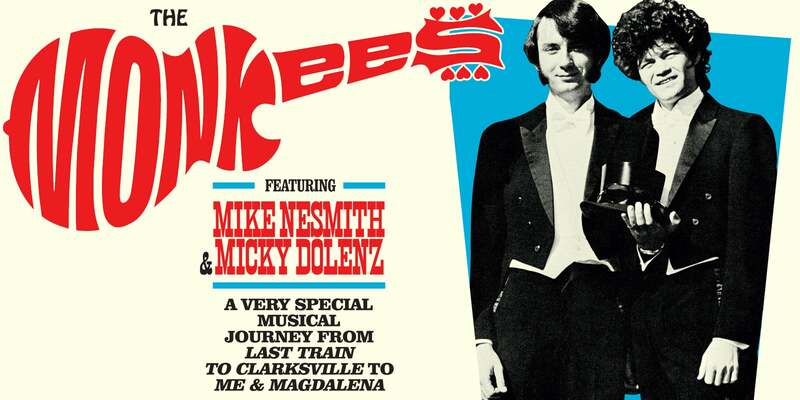 Michael Nesmith and Micky Dolenz of The Monkees will hit the road once again in 2019, these special performances will feature songs that span the group’s entire career. The shows will highlight many of Nesmith’s compositions, including some that had never been performed live until this tour began. To celebrate the Monkees’ 50th anniversary in 2016, the surviving members of the band recorded the critically acclaimed album Good Times. Much like the Monkees’ early albums, it featured tracks written for the band by a group of gifted songwriters, including Ben Gibbard (Death Cab for Cutie), Rivers Cuomo (Weezer), Andy Partridge (XTC) and more.